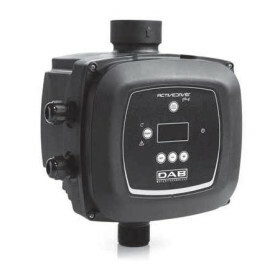 The Sirio is an electronic device that controls the starting and stopping of an electric pump based on inverter technology. The application of the Sirio is provided on the electric pumps with three-phase motor and power supply type, single phase, achieving performance, reliability, and robustness of three-phase motors in a home, where in most cases, the power supply is single phase. Constant pressure and energy saving due to the adjustment of the revolutions of the electric pump. Start and stop the pump step by step reduce the water hammer and eliminate the inrush current at power-up. Protection from dry running in case of lack of water in the inlet. Automatic Reset in case of stop for dry running, able to independently resolve the error condition. 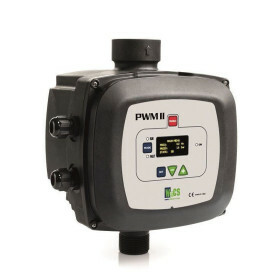 Control loss effective for protection of the pump from continuous points. Digital indication of pressure on the display. Amperometric control of the engine. Reporting of the various states of the operation/error conditions via light indicators and messages on the display. Working in groups of twins with alternation. Double set-point can be controlled at a distance. Start and stop the remote pump. Reversal of direction of rotation via software, avoiding intervention on the wiring. 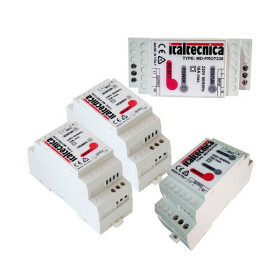 Electrical terminals, removable for ease of wiring.